… you can double-tap the comment field in setlist mode to toggle a fullscreen comment view? Double-tap again to flip back. … you can use the two-finger zoom / pinch gesture to zoom in and out the setlist view, just like you would in your photos app? … you can use the same pinch gesture to change the font size of the comments in setlist mode? … you can use a two-finger tap on the 8 controller pads to trigger and hold the pad? Tap again with one or two fingers to release the pad. It’s a bit nifty in the setlist bar but great on the big pads in controller mode. … you can press and drag on a knob to turn it (like the pan-knob in the mixers), but if you need a bigger view or higher resolution you can tap the knob which will bring up a helper-view. 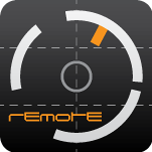 … you can change the realtime controller assignments in the iPad settings app: scroll down your app list to ‚Kronos Remote‘ and find the CC# control channel numbers for each realtime controller (or turn it off). During initial sync, the iPad will set the control numbers in your Kronos to these values, so you don’t need to keep them in sync yourself – keep in mind that the app activates / modifies the controllers in your Kronos if you run a complex MIDI setup, set the CC# to your preferred values in this case. … the app will load all preset names on connection with the Kronos – but you can also pre-load all setlists using the sync-page in global mode. You need to be connected via USB cable to load the setlists, afterwards they will be available to you also offline or on connection via Bluetooth.If you make changes to a setlist you need to re-sync or simply select the changed setlist while you’re connected via USB cable, then the app will re-sync that list.